ATLANTA – The National Park Service (NPS) is beginning a condition assessment of the Sweet Auburn National Historic Landmark (NHL) District. The assessment process will include a study to evaluate the integrity and condition of the District and a public comment period. In November, the NPS will host public meetings to introduce the project to the community. Designated by the Secretary of the Interior in 1976, the Sweet Auburn NHL District reflects the history, heritage, and achievements of Atlanta’s African American community following the Civil War to the 1930s and beyond. 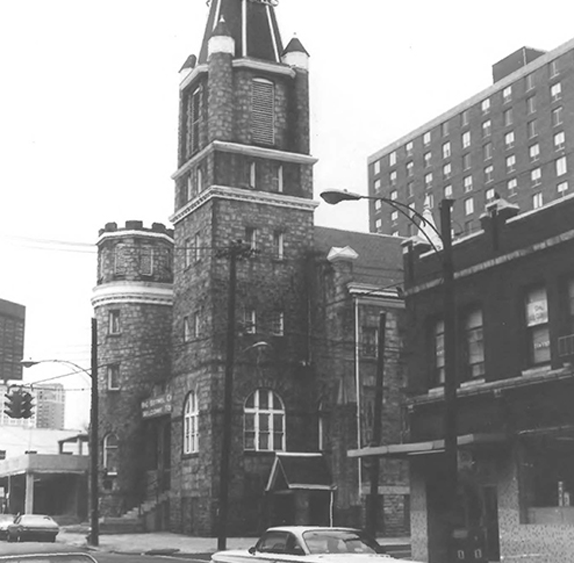 The District includes buildings associated with African American economic, social, religious, and cultural activities, including Big Bethel A.M.E. Church and the Butler Street YMCA. A cornerstone of the NHL Program is monitoring the condition of NHLs to identify those that exhibit damage or face threats to the integrity of their resources. This information enables the NPS, stewards, policymakers, and the public to take action to preserve these most significant exemplars of our heritage for future generations. As a part of the assessment process, the NPS is commissioning a study by New South Associates that will document, in narrative and graphic formats, major changes that occurred within and adjacent to the district since its designation in 1976. The effort involves research, a reconnaissance survey, photographic documentation, Geographic Information Systems analysis, and mapping. The assessment will also examine current and future projects and trends that may affect the integrity of the Sweet Auburn NHL District. The NPS hopes that the information contained in this study will aid in the stewardship of the NHL by providing policymakers and the public with a better understanding of the District. For more information about the Sweet Auburn NHL District condition assessment, please visit the planning website at https://parkplanning.nps.gov/sweetauburn. A draft condition assessment is expected to be available for review along with a 30-day public comment period by March, 2019. The National Historic Landmarks Program works with preservation officials, private property owners, and other partners to provide states and local communities with technical assistance, recognition, and funding to help preserve our nation’s shared history and create close-to-home recreation opportunities. 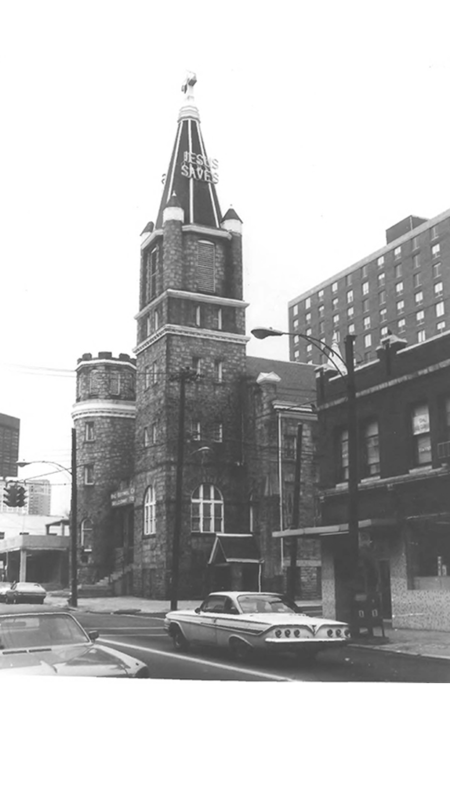 Big Bethel Church. 1976. Looking northeast. Georgia Department of Natural Resources, Historic Preservation Division.